Prevention is better than cure, and I’m sure you’ve heard that at least a handful of times before, but when it comes to our skin we want a product to do both. As a digital influencer I have access to plenty of potions and lotions, but it’s this skincare advice that my mother passed down that helped me stop wrinkles and dark spots caused by UV in their tracks. 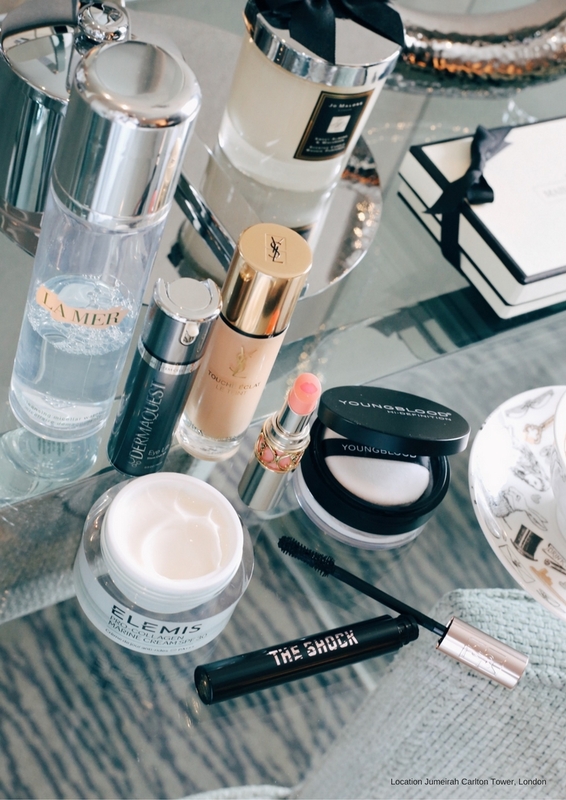 With just a couple of days away from May (and me turning 30), I thought I’d share with you a few of my most favourite skincare and makeup products – all tested and loved. It’s also worth mentioning that skincare, unlike makeup or even hair, is really individual – so what works for me might not work for you. Don’t forget to patch test, introduce one new beauty product at a time, and please do research before splurging on something new. While there are definitely some pretty good ones out there, La Mer cleansing micellar water is an old time favourite and worth every single penny. I use it every day as part of my evening skincare routine – my skin is left feeling fresh and hydrated. The following two products are new on my beauty shelf, but already on my ‘can’t live without’ list as they really deliver on the specific issues I want to address. As far as premature ageing is concerned, the enemy is not just wrinkles – but also the uneven skin tone, made up of dark spots caused by UV. Until only a couple of weeks ago, when I had a skin analysis and facial at Elemis counter in Debenhams, I didn’t know I have dark spots. The Elemis Pro-Collagen Marine Cream is my new skincare hero. The light formulation instantly freshens my complexion and at the same time, the powerful combination of ingredients (including Padina Pavonica and Ginkgo Biloba) work at a deeper level to help reduce the appearance of fine lines and wrinkles. With an SPF 30, I know that my skin is protected and will keep the dark spots caused by UV at bay. Eye creams come in small pots and quite often with big promises and hefty price tags to match. Yes, Dermaquest Stem Cell 3D Eyelift is expensive, but it’s powerful formula really does deliver. I use it twice a day for an instant eye lift. The perfect cure for those mornings when I don’t wake up feeling less than bright-eyed. Moving into make-up, Youngblood is a mineral cosmetics brand that I’ve been introduced to by Abi, CEO and founder of The Apartment. Their Hi-Definition Hydrating Mineral Perfecting Powder contains a bareley-there formula packed with minerals, and provides sheer coverage for a flawless and weightless finish. YSL make-up works wonder on my skin, and it’s been a long time favourite. Some brands are better than others but in my opinion, YSL stands above and beyond the rest. I’ve been using Touche Eclat Le Teint for over a year and it’s one of those products I simply can’t leave the house without. A full coverage foundation, without the heavy feel and infused with the illuminating light of Touche Eclat for a radiant complexion. What’s not to love? As with any YSL products, the packaging instantly gives a luxurious feel. The Volupte Tint-in-Balm is no exception! This new launch has a unique double core formula – the outer shell delivers instant balm care and the lip-shaped heart of the lipstick, provides a lasting pop of colour. Swoon!